Coming up tomorrow – Shiatsu tasters in Dawlish – come & say hello…. So excitingly I am going to be offering Shiatsu massage in Dawlish, as well as in Exeter. I was approached by the owners of The Changes Now Centre, in Dawlish, as to whether I may be interested in offering Shiatsu alongside the other therapies they offer. I didn’t have to think for long – I love the train trip from Exeter to Dawlish, The Changes Now Centre is near to the station & I am based closed to the station in Exeter. So not only is it a beautiful commute it is a relatively short one too! I have been considering looking for a second area to work in & this opportunity seemed to be a good one to go for. So here we are – I’m going to be offering nurturing & supportive Shiatsu in Dawlish & soon. To begin with I will be offering taster sessions, so people can come & try out Shiatsu. These tasters will be on 14th & 28th June between 10am & 1pm. Then all being well I will be at the centre every other Wednesday. 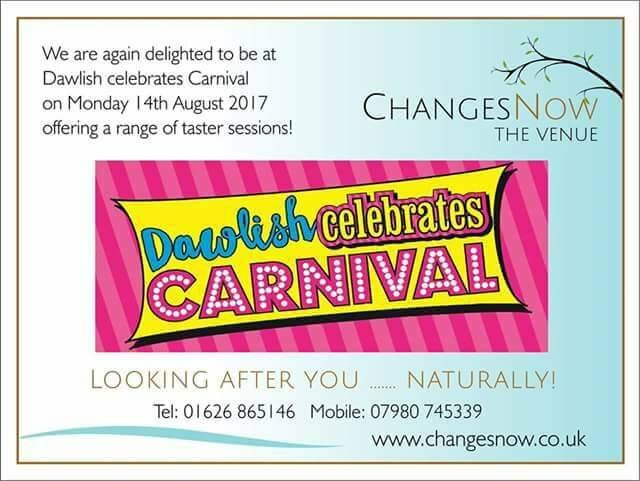 To book a taster, or a full treatment, you can contact The Changes Now Centre. If you are looking for more information about myself or Shiatsu have a look on the pages on this site & feel free to get in touch. Details are on the contact me page. I am always happy to talk Shiatsu. Shiatsu works with meridians, lines of energy in the body & Tsubos, pressure points. These are the same meridians & points that are used in Acupuncture. As the meridians run across the whole length of the body the massage can be given on one part but will be working the whole body. I often get comments from clients saying that they feel a sensation in another part of their body to where I was working. Being able to work the whole body as one can be really helpful for very painful or inflamed injuries. Rather than working on the sensitive area distal work can be done. Similarly if there is a large area of tension that won’t release with direct massage this can be worked from other areas of the body. When I am working the feet, for instance, I will be conscious of the whole body, what effect the massage is having & where. As the meridians run the whole length of the body you can work one part of the line of energy & the whole line will be worked. Symptoms can be relieved & also a general sense of more energy & flow can be felt. If you are interested in finding out more of if Shiatsu maybe able to help then do get in touch through the ‘contact me’ page. It’s been such a beautiful few days here in Exeter, Devon. Here is the view from my Shiatsu practice room. What a joy tolook out at. Another reminder that I will be giving nearly full length Shiatsu treatments for just £15 at the below event in a few weeks time. It is in beautiful North Devon & there are a lot of different people & businesses attending so should be really good. It’s on Saturday 22nd & Sunday 23rd April. You can book a Shiatsu massage session in advance – find me on the above event page & follow the link to book. Look forward to seeing some of you there.